33 survey forms were returned. The results given in the graphs are for the number of forms selecting each option. 97% of parents want a uniform for this school. 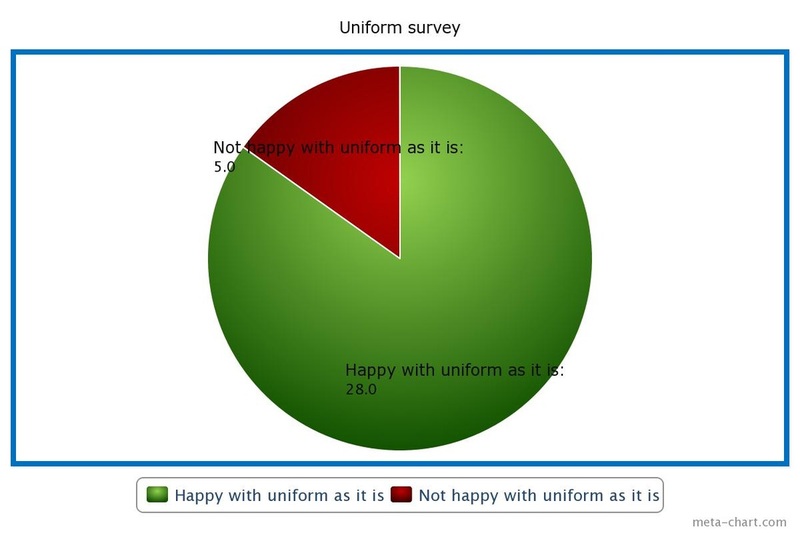 85% of parents are happy with the uniform as it is. 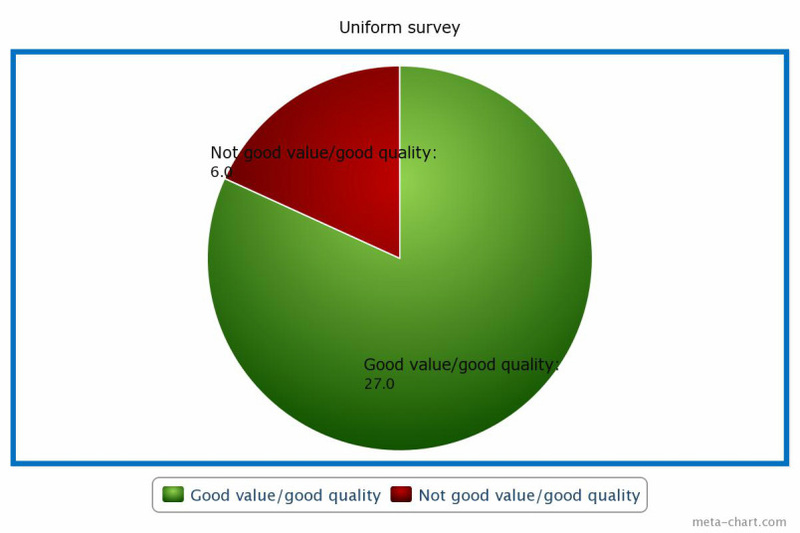 82% consider the uniform to be good quality/good value. 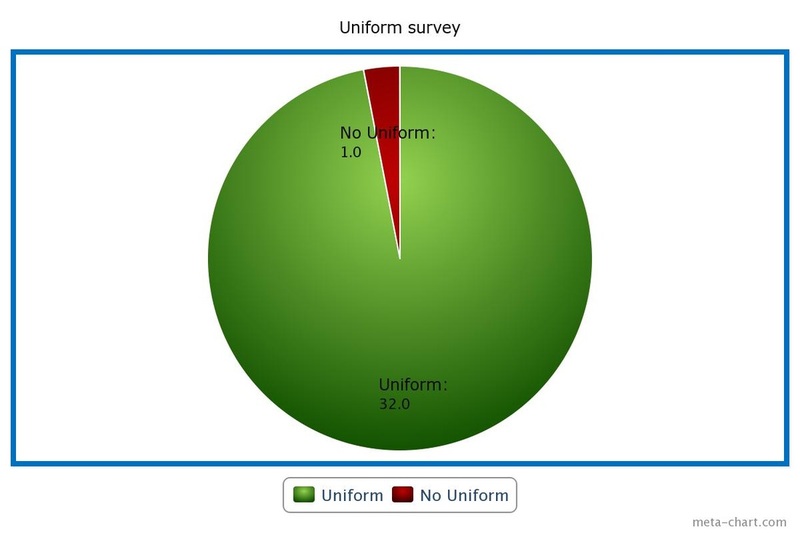 Given the high number of positive responses, the Board of Management will not be changing the Uniform Policy at present. Thank you for all the supportive comments and also for your suggestions. These have been duly noted and considered.